Canada Is Jagmeet Singh capable of tapping into modern left-wing populism? 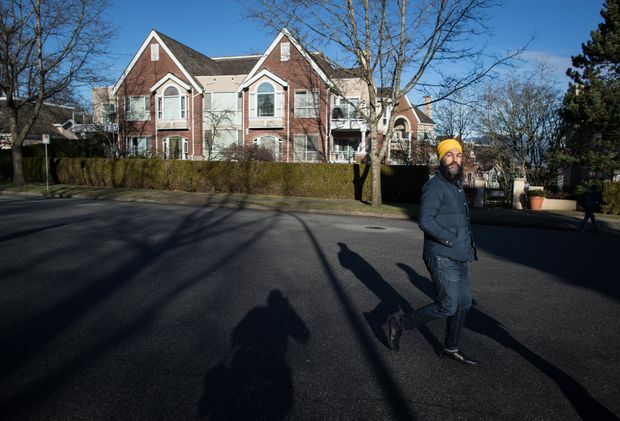 NDP Leader Jagmeet Singh crosses a street while door knocking for his by-election campaign, in Burnaby, B.C., on Saturday Jan. 12, 2019. Earlier this month, Jagmeet Singh celebrated his 40th birthday by posting on Instagram and Twitter a photo of himself as a newborn baby, with one eye closed. Yet Mr. Singh’s saccharine social media post seemed to epitomize something – beyond occasionally being poorly briefed, and perhaps harder to change – that some New Democrats find unsettling about their leader and his ability to compete in next October’s federal election. That discomfort has to do with whether Mr. Singh, even if he gets a boost next month by winning the by-election in British Columbia in which he is competing, is suited to the current political moment. Does a leader inclined toward a touchy-feely but somewhat abstract optimism have the right sort of edge to channel the frustrations of voters ready to turn away from Justin Trudeau’s Liberals? It does not require great imagination to envision populist waves that have swept over most other Western countries hitting Canada. Arguably they already have, in provincial elections in Ontario, Quebec and New Brunswick. While much of that energy has been on the right, there is potential for it on the left, especially among younger voters who feel robbed of previous generations’ economic security and fearful about the planet’s future due to climate change. It is also not unimaginable that an NDP leader could successfully paint Mr. Trudeau as someone who talks a good game about such anxieties but is too disconnected from day-to-day realities and beholden to the political establishment to take them seriously enough. But that would require striking a contrast through bold policy positions delivered with urgency and a hint of anger. And Mr. Singh has not exactly been the equivalent of Alexandra Ocasio-Cortez, the rookie U.S. congressional representative who has recently been at the forefront of a movement pushing the populist left into the political mainstream. He has recently fished in some of the right policy waters, talking lots about housing affordability. But so far his proposed solutions – more investment in co-op housing, and unspecified targeting of real-estate speculation – have not been earth-shattering. And he has struggled to deliver the obvious message – you’re being priced out of cities becoming playgrounds for the rich, and other politicians don’t care – with the forcefulness needed for a third-party leader to break through. More perplexing has been his mildness on oil pipelines. Opposing the expansion of the Trans Mountain line was a tough call, because it alienated Alberta’s NDP government. Having already done so, he could have seized on the court ruling that halted the project to hit hard on climate change: Can you believe the Liberals were so eager to dig up oil, they bought a pipeline that can’t even be built because they didn’t adequately consult First Nations or follow environmental process? Instead he scarcely made any noise at all. But then, righteous indignation has never been Mr. Singh’s stock-in-trade. Despite the mixed-martial arts background he often invokes, his nature – based on interactions during his time in Ontario politics, and observations of those who have worked closely with him – is nonconfrontational. Some politicians hone in on precise words that will tap into voters’ anger; he tends more toward appealing to better angels with aspirational generalities. Nor did Mr. Singh promise much populism when he won the NDP’s leadership, with “Love and Courage” as his catchphrase. His appeal was that he would out-Trudeau Mr. Trudeau – cooler, sunnier, more representative of generational and cultural change. The problem, New Democrats seem to have since concluded, is that voters who grow disillusioned with Mr. Trudeau won’t be looking for a variation of him. So the new campaign team with which he has surrounded himself, after his underwhelming start on the job, has been trying to steer him toward a grittier image. That means some of Mr. Singh’s hipster flourishes – flashy clothes, bespoke bicycles – will likely be played down leading up to October’s election. The word “love” is not likely to appear in as many of his scripts. Assuming he wins his by-election and remains leader, the aim will be to present him with a more common touch that, combined with a rollout of ambitious policies, make Mr. Trudeau look isolated, complacent and self-satisfied by comparison. Mr. Singh could grow into that identity. But it’s hard for any politician attempting some version of modern populism to succeed without being authentic. Maybe he was being cloying with that baby-photo post, and needs to get that sort of thing out of his repertoire. Maybe it was a truer reflection of who he is than the rebranding that is supposed to be under way.